Cat Sìth Fairy Tumbler - Scottish folklore includes a fairy in the form of a black cat. It was believed that a Cat Sìth would bless a house that left a saucer of milk for it to drink, but the milk cows of the houses that did not put out a saucer of milk would be dry. 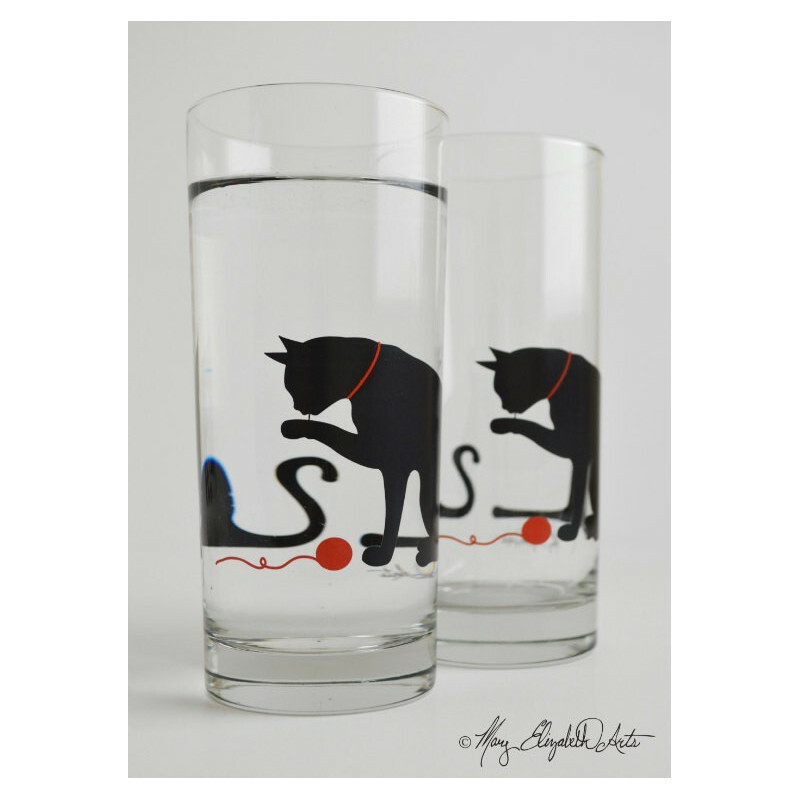 ♦ The perfect gift for the cat lover in your life. 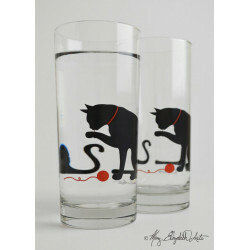 Two black cats with different poses are on each glass. These everyday glasses are functional works of art to enjoy year round. They look fabulous with any beverage and are great for water, juice and mixed drinks.